Much has been made of having a well-designed classroom these days, and with good reason. 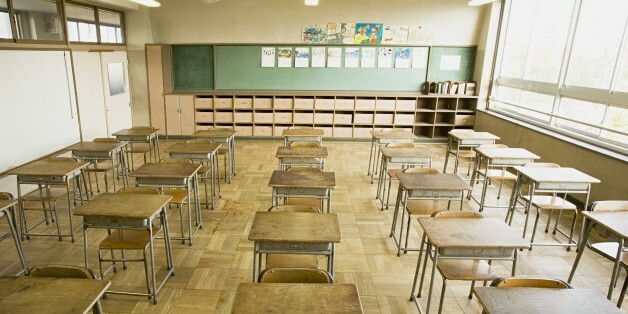 A number of studies have shown that a poorly laid out classroom can cause problems for both the students and the teacher. Students find themselves more easily distracted and less engaged, and teachers have a hard time finding needed materials and keeping the mountains of paperwork they need manageable and under control. The first step (much like it would be for any kind of home renovation project) is to take a look around the space you’ve got and make a plan. Try to get an idea how much space you have, what you absolutely have to keep or just can’t replace (desks, wall fixtures, etc), and what you want to accomplish. Do you just need to clean out your desk and filing cabinets, or do you want to rearrange your entire classroom? Remember to think realistically, but don’t feel like you have to get too grounded – after all, it’s your classroom, and you need to make it work best for you and your students! No disrespect to teachers everywhere, but let’s face it – if you’re trying to reorganize your classroom, you could do a lot worse than to start with your own desk and filing system. Purge everything you really don’t need – if those papers have been graded and recorded, they can probably be given back to the students, and everything older than that can either be put away or disposed of. If you need a little more room, you could bring in some file cabinets & carts. Too much paperwork and pens on your desk? Consider some desktop organizers to keep everything clutter free. Once you can work without a big mess everywhere, you’ll already start feeling much better. No matter what grade you teach or what age range your students are, your students could always use a few little touches to make them feel more comfortable in their surroundings and in-tune with the lesson plan. If you’ve got the space, add some touches like small lockers and coat hooks to give them a place for their backpacks and extra belongings to reduce distraction and help them feel more comfortable. Re-arrange the desks to make sure everyone can see the lesson plan and communicate effectively, to avoid that old ‘student in the back’ problem. And if you have a class like chemistry or physics that requires a lot of extra tools and supplies to finish your lessons, make sure to keep a good inventory of what your students need to complete their lessons to make sure nobody is left out. We know it can be hard to get the supplies you need with the shape most school’s budgets are in right now, but if you can follow these tips as best as you can you should find yourself with a cleaner desk, more engaged students, and a much more effective time teaching overall. After all, isn’t that what you’re here for?